From the mountain citadel of Machu Pichu to the bustling streets of Bogota, you’ll see the best of Peru and Colombia. 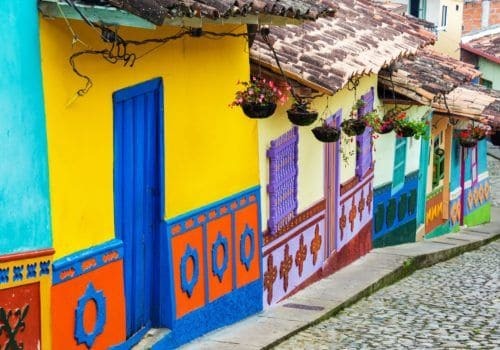 Taste the richest coffee in the world, see Inca ruins and take a mountain car over the rooftops of Medellin. This itinerary is an ideal introduction to the sights and sounds of South America. When you arrive at the airport your driver will meet you and transfer you to your hotel. Day and evening at leisure. 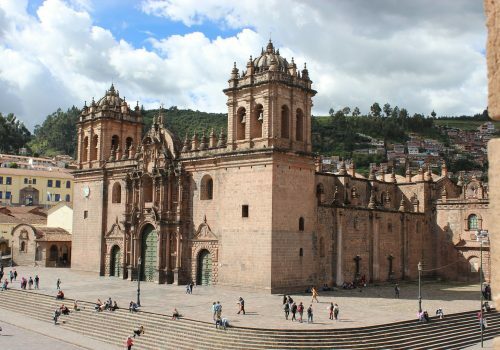 Today you’ll go on a guided tour of Cusco, a city that was founded by the Incas before the arrival of the conquistadors. Formerly the capital of the Inca empire, it contains remnants from Peru’s distant past. You’ll explore San Pedro Market, El Korikancha temple and the Convent of San Domingo. Enjoy a day and evening at leisure. You can explore Cusco at your own pace. We can also arrange day trips to nearby ancient ruins such as Pikillaqta, a complex built by the Wari civilisation that predates even the Incas. This morning you’ll be driven out of Cusco for a guided tour of Machu Picchu. This mountain citadel was built in the 15th-century by the Incas. No one knows exactly what purpose it served. After the Spanish takeover of South America, Machu Picchu was “lost” until the 20th-century. It is now the biggest tourist attraction in Peru, and one of the most enigmatic architectural sites in the world. Today you’ll fly to the Colombian capital and check into your hotel. Day and evening at leisure. This morning you’ll visit the colonial district Monserrate and see panoramic views of the city. You’ll stroll through Plaza Bolivar and visit the famous Gold Museum. Here you’ll see many great artefacts from Colombia’s distant past. Today you’ll fly to Medellin. Just three decades ago this city was considered to be a no-go zone. Now it’s drawing in tourists from all over the world. It’s even been hailed as a hipsters’ paradise. The city is surrounded by the Andean Mountains. To make the most of the extraordinary views on offer you can take a cable car and ride above the city – as long as you’re not scared of heights! Join a guided walking tour of the city and explore El Centro, the downtown area and In Situ, the botanical garden. At Comuna 13 you’ll see a lot of great street art in what was once the most dangerous area of the city. In the evening head to the El Poblado district where you’ll find lots of great places to drink and eat. Caffeine lovers take note: this city boasts world-class coffee. Today you’ll be joining a tour of New Peñol where you can climb the third largest rock in the world. You’ll be greeted with the best view in Colombia. Then, you’ll be heading for lunch at Guatapé, a picturesque town where you can sample some of the local seafood. On your last full day your free to wine, dine and relax.